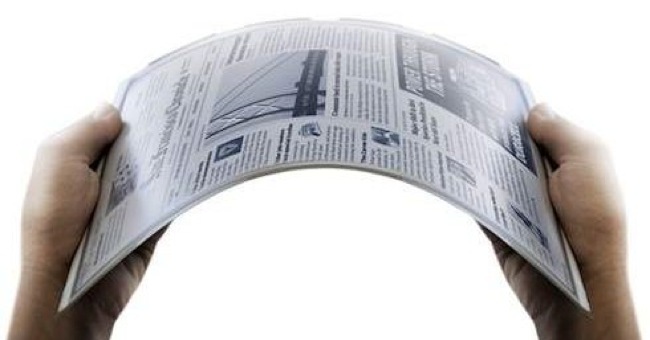 The word on the street is LG has flexible e-paper displays in the works. It’s also revving up production of color e-paper. This bit of news stems from an SEC filing made by the Korean giant last Friday that indicated its future plans. Consumers can expect LG to use its immense distribution network to get more 9.7 inch color e-paper displays on a tablet/portable device near you. The arrival of color e-paper displays suggest that a new generation of readers will soon be among us, readers whose displays depart from the current LCD screens popular today. However, problems persist. Foremost is the battery consumption of colored e-paper which is problematic when compared to more commonly used high resolution LED screens. On the other hand, while the successful application of 19-inch flexible e-paper remains a matter of speculation, LG’s decision to mass produce it indicates it has perfected the technology. Though LG once touted 14-inch A4 e-paper that could display 16 million colors, cost and pricing issues may imperil flexible e-paper’s use on portable devices. While flexible e-paper won’t be hitting newsstands near you any time soon, expect LG’s role in the e-reader market to grow exponentially. It would be the height of coolness and convenience when we can fold our reading material for easy carrying like the pocketbooks and magazines of yore.